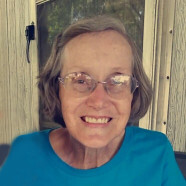 Phyllis Ann Macke, age 59, of Breese, died Saturday, April 6, 2019 at Carlyle Healthcare Center. She was born April 25, 1959 in Breese, a daughter of Elizabeth “Betty”, nee Isaak, Diekmann of Carlyle and the late Marcel Diekmann. In addition to her mother, she is survived by her husband Kenneth Macke of Breese, whom she married May 28, 1983 in Carlyle; children, Kelly (Jason) Burkett of Jamestown and Kevin (Carla) Macke of Carlyle; grandchildren, Brooke Johnson and Briana Macke; siblings, Elaine (Danny) King of Glendale, Wayne (Connie) Diekmann of Huey, and Diane (Larry) Hartman of Huey; and sisters-in-law and brothers-in-law, Kathy (fiancé Tim Tebbe) Macke of Jamestown and Mike (Susie) Macke of Breese. She was preceded in death by her father; father-in-law and mother-in-law, Leo and Rita Macke; and grandparents, Bernard and Lavina Diekmann and John and Helen Isaak. Phyllis formerly worked in housekeeping at Breese Nursing Home and was a member of St. Dominic Catholic Church in Breese. She enjoyed knitting and riding her bicycle, but most of all spending time with her family, especially her grandchildren. Memorial Service will be Wednesday, April 10, 2019 at 10:00 a.m. at Moss Funeral Home in Breese with Fr. Patrick Peter officiating. Interment will follow in St. Dominic/St. Augustine Cemetery in Breese. Memorials may be made to Hospice of Southern Illinois and will be received at the funeral home.